Differences in health can be seen between many different groups in society – between the best-off financially and the poorest; between those with disability and those without; between men and women. Such diverse comparison groups expose a range of contributory factors to our health – some are inherited as part of genetic make-up, some are acquired, and some are created by the world we live in. 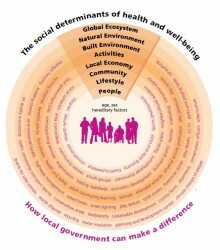 Figure 2.2 describes these factors, known as the ‘wider determinants’ of health and wellbeing, starting with the people and the lifestyles they lead, which is influenced by the families and communities they live in, the natural and built environment around them, and a wide range of social and economic factors at local, national and global levels. 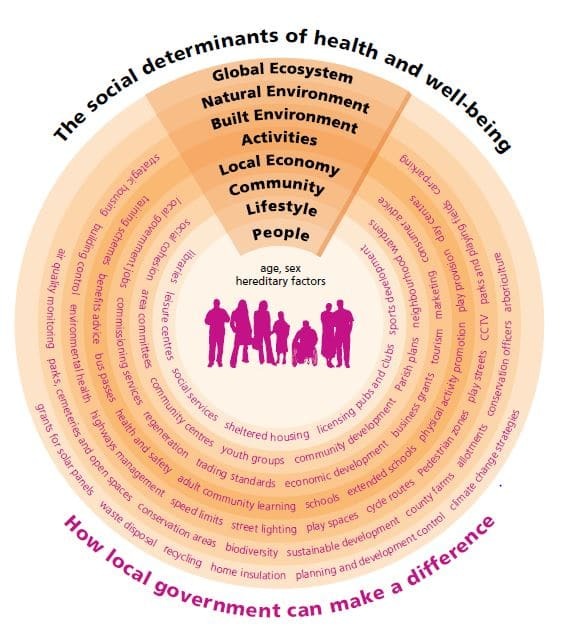 The areas in which local government and others can make a difference are wide ranging and diverse, highlighting that health and wellbeing is not just about traditional health and care services. 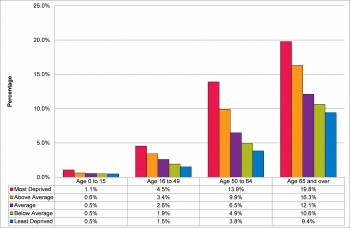 Differences between areas and different groups of the population have a significant influence on health and wellbeing. This is demonstrated in figure 2.3, which highlights poorer self-reported health in more deprived areas across all age groups.